in the front. The photograph was taken in Moscow in the early 1920s. In 1924 Cohen was in Odessa with William Norman Ewer, the foreign correspondent of the The Daily Herald, when she met Oswald Frewen of The Daily Telegraph and Clare Sheridan of The Daily Express in 1924. Frewen fell in love with Cohen. He wrote in his diary: "She has probably been thinking that I was rather in love with her and that unless she kept a trifle aloof I might get a trifle unmanageable. She is old enough anyway for all her childish appearance, to have that amount of worldly wisdom . Frank, friendly, gentle but aesthetic, unconventional and a communist, I wonder just how I shall react to her in London. Bare legs and a Tartar dress are her setting. How will she appear in Mount Street?" In 1932 Cohen became foreign editor of the Moscow Daily News. This involved a lot of travelling and meant that she had to leave her son with friends in Moscow. Cohen told her sister: "I miss Alyosha terribly, and I'm wondering whether I will last out to the end of the month without him." Cohen was living a privileged life-style and one English visitor described her as "incredibly snobby and earns a vast salary". Freda Utley complained that Cohen "is so very smooth and insincere and also so terribly conceited". Early in 1937 Petrovsky was arrested. The atmosphere of terror in Moscow at once ensured that his wife became an outcast. Maxim Litvinov forbade Ivy from going to see her, but Ivy's teenage daughter brought Rose and Alyosha to Ivy. Rose was lonely and terrified. "Not a single one of my friends has been to see me," she said. In April, knowing of Max's arrest, Harry Pollitt wrote her a chatty letter obviously intended to cheer her up: "My visit to Spain gave me great satisfaction. There is quite a story about how 1 got there, which will make you laugh. Seeing the war on the ground made a great impression on me, and I think that my visit had a good effect on the lads... We all send our love. Don't lose heart." She never saw the letter, or laughed at Harry's story. The letter was opened, and the information in it considered too sensitive for her to see. It went into a dusty Moscow archive. Nellie also wrote. Her letter was returned. 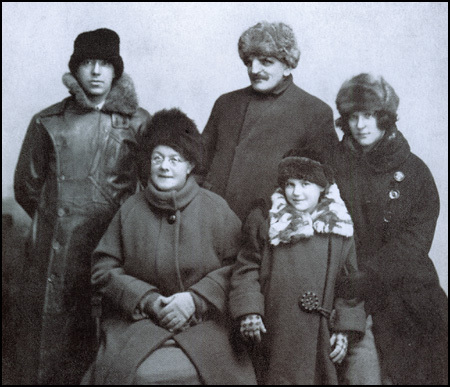 Just before Petrovsky's arrest, the Soviet authorities asked Rose to give up her British citizenship and apply for Soviet citizenship. Innocently, she agreed. As soon as her husband was arrested she realized her mistake, and frantically tried to retrieve British citizenship, because British passport holders were relatively safe. But it was too late. Max was shot, and they came for Rose in August 1937, seven months after his arrest. Alyosha was taken from her and sent to a children's home. Rose broke down completely in prison, mainly for fear of what would happen to him. For eight months, no one knew where she was. Nellie asked Harry Pollitt and Willie Gallacher to do what they could. Pollitt pressed his protest further than his colleagues thought was wise. He had long and troubled interviews with Dimitrov and Manuilsky. He made so many waves that Comintern officials floated the idea with other CP leaders of replacing him with someone more malleable. Another English Communist, Pearl Rimmer, went to see him to beg him to intercede on behalf of her husband, Dutch Communist George Fles, then languishing in a Soviet prison. "What can I do?" he said to her. "They won't listen to me. They've arrested Rose Cohen. I know she's innocent; I've known her from a child." Fles died in prison. Gallacher went to see Georgi Dimitrov in Moscow about Rose and other foreigners who had disappeared. Because Gallacher was an MP, he probably got a politer hearing in Moscow than that accorded to Pollitt. That at any rate is what he told Nellie Rathbone. Years later he told his friend and literary executor Phil Stein that Dimitrov looked at him gravely for a few moments, then said: "Comrade Gallacher, it is best that you do not pursue these matters." And Gallacher did not pursue them. In April 1938 the British newspapers learned of Rose Cohen's arrest. The foreign office protested - ironically, the protest had to go to Maxim Litvinov. But Litvinov said she was now a Soviet citizen and no concern of Britain's, and had been sentenced to ten years' imprisonment for espionage. I've been so busy sun-bathing, sea-bathing, tennis, walking - and eating, that I have had no time to write letters. . . . So far the trip has been marvellous... We stayed three days in Tiflis and nearly died of Georgian hospitality. We met the loveliest people there, who vied with each other to entertain us. You would probably hate the Georgian food, except that they put nuts in everything - but also a special kind of vinegar which they call wine vinegar. For instance, in chicken broth they add this vinegar and the beaten yolk of egg! And it's delicious. And as for their shashlik, there is nothing like it. A real Georgian dinner begins at 5 and goes on till about midnight. We had two such dinners in Tiflis and one in Batoum. And this is accompanied by steady wine drinking. Fortunately, they don't drink vodka, but delicious light Georgian wines, which leave no ill effect or make you drunk. You have to finish the glass at one go and, at special toasts, they drink out of tumblers. I kept my end up with the rest and was accepted as a "sister". A great figure on these occasions is the "termada" or toaster. He is usually chosen as the wittiest person present and his toasts keep things going should they begin to flag. At one dinner we had the most famous termada in Tiflis. He was simply brilliant, and very witty in many languages, including pidgin English. After these `orgies' we went for long drives along the Georgian Military Road. That same day, Pollitt arrived in Moscow to discuss the political situation in Britain. This would have been his first meeting with Rose after Petrovsky's arrest. Presumably the secret police did not want this meeting to take place. They may also have hoped that they could squeeze out of Rose something they could use against Pollitt. At all events, they kept Pollitt kicking his heels for days in the Hotel Lux while they questioned Rose Cohen. Just what was going on in the minds of Pollitt and his colleagues, who had regarded Max and Rose as close friends? Pollitt wrote to the general secretary of the Comintern, Georgi Dimitrov, of his "very warm personal friendship" with Petrovsky and his confidence in his unwavering loyalty to Stalin and the international communist movement. The news of the arrest, he wrote, came as "one of the greatest shocks of my life". But in public, Britain's communist leaders threw their old friends to the wolves. 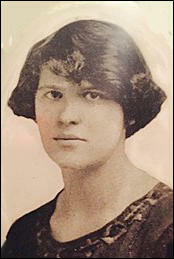 When Rose's arrest became known in England, which was not until months after it happened, and other newspapers demanded that the Soviets at least charge her publicly and say where she was, the Daily Worker snarled at their anti-Soviet stance, and furiously insisted that the British government had no right to intervene. It was a weaselly way to abandon a woman whom every leading communist in Britain had counted as a friend - somehow even more distasteful because the editorial fastidiously declined to name her. William Gallacher, Britain's only communist MP, went to see Dimitrov. When Gallacher raised the question of Rose, Dimitrov looked at him gravely for a few moments, and said: "Comrade Gallacher, it is best that you do not pursue these matters." And Gallacher did not. Privately, Pollitt was distraught, and pressed his protests about Rose Cohen further than his colleagues thought wise. He had a long interview with Dimitrov, and according to Ivy Litvinov, he even saw Stalin himself, and asked him to send Rose back to England. Comintern officials started to suggest to other leading British communists that Pollitt was not as reliable as he ought to be, and they should think about replacing him. Things were worse for Pollitt than either he or they knew. Rose was one of several foreign communists and Comintern leaders who were arrested in the spring and summer of 1937. People will say anything under torture. We know that the Hungarian Bela Kun named Pollitt as one of his "collaborators" in his Trotskyist "conspiracy", and he may not have been the only one. Whatever Dimitrov said, Pollitt and his colleagues not only ensured that the British Communist party failed to protest, but also prevented effective public protests from anyone else on the left. Approaching public figures on the left, Rose's old friend Maurice Reckitt found it hard to get significant leftwingers to sign a very moderate letter to the New Statesman protesting at her disappearance. 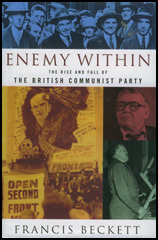 If British communist leaders behaved discreditably in abandoning Rose, so too did the British government. The Foreign Office seems to have been eager to seize on the excuse that Rose had given up her British citizenship and become a Soviet citizen, in order to wash its hands of her. In fact, my reading of British Foreign Office documents now available suggests that it is most unlikely she did anything of the kind. She was a British citizen who had never given up her citizenship. 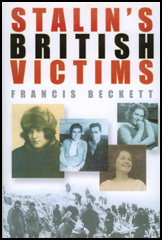 The Soviet Union persecuted her falsely for being a British spy. The British government failed her because she was a communist. The official who briefed the foreign secretary commented smugly that the British Communist party seemed to carry little weight in Moscow: "The history of the Russian revolution shows that the 'Bloomsbury Bolshevik' or 'parlour pink' is the first to go to the wall." The Daily Sketch gloated: "A woman who was an apostle of this anti-democratic creed must rely now upon the protests of a 'capitalist' state." It was not much to rely on. Rose, it is said, broke down completely in prison, and cried constantly for Alyosha, right up to the moment, on November 28, 1937, when they took her out and shot her. Petrovsky was already dead: he had been shot in September.